Central Ohio has had wonderful experiences in pursuit of “good fellowship,” a phrase found in the NATS Code of Ethics. Several years ago, our state NATS chapter decided to forego the traditional Friday evening recital prior to the annual Spring Auditions. In its place, members met at a restaurant for dinner and socializing. This idea emerged from conversation at the home of Kirsten Osbun-Manley who opened her home for our board meeting and provided a lovely meal. We lingered around the table long after we were done eating, talking up a storm! We commented on our good fortune to meet socially and as a result, planned the Spring Auditions social event. With the support of our membership, we have continued the Friday night fun ever since. The Buckeye NATS Chapter has also been the seed bed for the planting of The Central Ohio Voice Teachers Chat Group, not meeting online but at a bakery. Stephanie Henkle wanted her voice teaching community to have the opportunity to meet and share ideas. When asked what motivated her to start the Chat Group, Stephanie said, “Talking with others who are ‘in the trenches,’ so to speak, charges me up and opens my mind. The idea was that perhaps, as a group, we could share repertoire ideas, studio policies, information about competitions, current thoughts on vocal pedagogy, upcoming events, and most of all, foster ongoing connections to folks who live close by. Rather than thinking of each other as competitors, we could open ourselves to learning from each other, to the benefit of our students.” Food is always an important part of collegiality, and we have been meeting at the bakery every two months for more than a year now. Along with the Chat Group, central Ohio voice teachers are collaborating in innovative ways. One of these is the sharing of students. At the Capital Conservatory of Music in Bexley, several voice teachers have agreed that “it takes a village,” meaning that Conservatory students have gained much ground from a combination of Alexander Technique lessons (taught by me), CCM (Contemporary Commercial Music) vocal technique coaching from Amy Rakowczyk, and study with their studio voice teacher, Sharon Stohrer. When Sharon first moved to Columbus, she sent me an email, asking for information on the local voice-teaching scene. Little did I know that our lunch date would result in co-teaching studio classes, co-hosting voice recitals, consulting with each other on pedagogy issues, and most recently, creating a workshop titled "The Confident Performer." To supplement the workshop content, we published The Performer’s Companion in the fall of 2014. 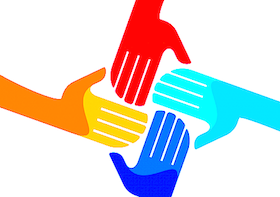 Small gestures towards collegiality can generate extensive and rewarding projects. Capitalize on common interests and ideas about pedagogy. Find colleagues who share your teaching ideals and work with them. This is an important first step to well-matched partnerships. Devote the time you need to determine compatibility. Schedule social events with colleagues. I recall a long-ago Sunday luncheon of fellow voice teachers that extended into the evening hours and eventually included a run for pizza. This group of teachers was hungry, not only for a pepperoni with sausage, but also for the good company of colleagues. Exchange tutorials. This is a great way to learn something new and also get better acquainted. Prior to her appointment at The Crane School of Music in upstate New York, colleague Jill Pearon suggested we trade lessons. With her expert assistance, I brushed up on German, Italian and French diction, and she received Alexander Technique lessons in return. This is yet another collegial connection that has resulted in a devoted and long-term friendship. Co-host recitals. Co-hosting is especially rewarding for those of us working in private studio settings. Teaching in a private studio can be a lonely endeavor, but through the co-hosting of recitals, I have developed several key professional relationships that have sustained me through decades of running a private voice studio. Invite a colleague as guest clinician for a studio master class. This allows you to discover what your colleagues have to offer your students, and also what can be learned from your colleague. It can be very useful to have someone else who knows your students and their voices, and with whom consultations can take place. I wish for you, dear colleagues, the joys and challenges of collaboration. All of us, whether in private studios, community music schools, colleges, universities, or conservatories, can give ourselves the gift of collegiality. And when we choose collegiality over territoriality, ripples of change in the world of music do happen. May your collegial connections be many! 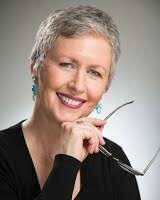 Diana McCullough teaches the Alexander Technique and voice in her Columbus, Ohio, studio. She has been teaching and performing in central Ohio for 30 years. This article first appeared in Inter Nos (vol 48, no. 2), NATS' semiannual e-zine that provides important information about the work of NATS to its members. A major feature of each Inter Nos is the "Independent Voices" section, which focuses upon the work of independent teachers. Click here to download the latest copy of Inter Nos.